We represent many of the top brands in video production. 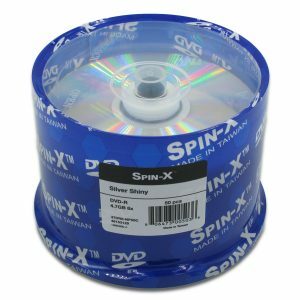 We can provide you with professional camcorders, projectors, screens, camera equipment and accessories. If you are in the DFW area let us visit your location for a system analysis and provide recommendations at no charge to you. 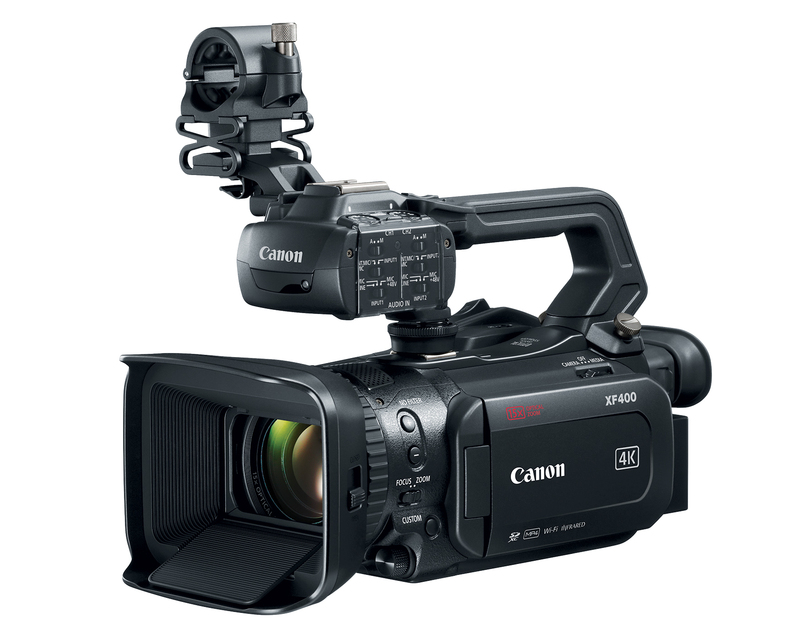 The XA11 Professional Camcorder delivers high performance and quality in a powerful, versatile and portable package. 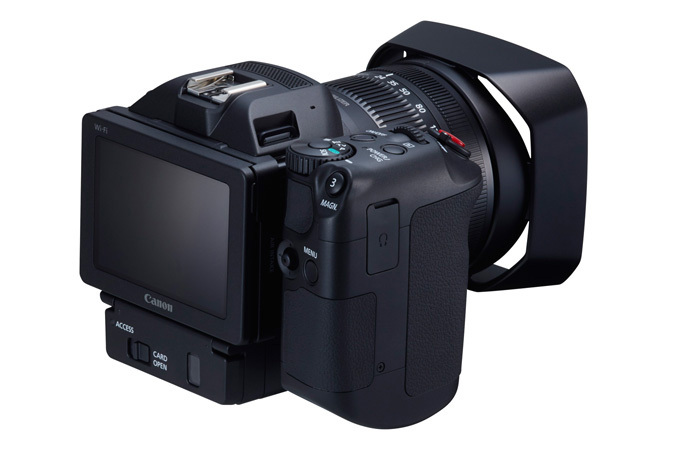 An advanced HD CMOS Pro Image Sensor, the powerful DIGIC DV 4 Image Processor and a versatile 20x High Definition optical zoom lens with a focal length range of 26.8–576mm combine to produce Full HD content of incredible caliber. The Wide DR Gamma and Highlight Priority modes help ensure a natural range of tones and colors for realistic and eye-catching results. 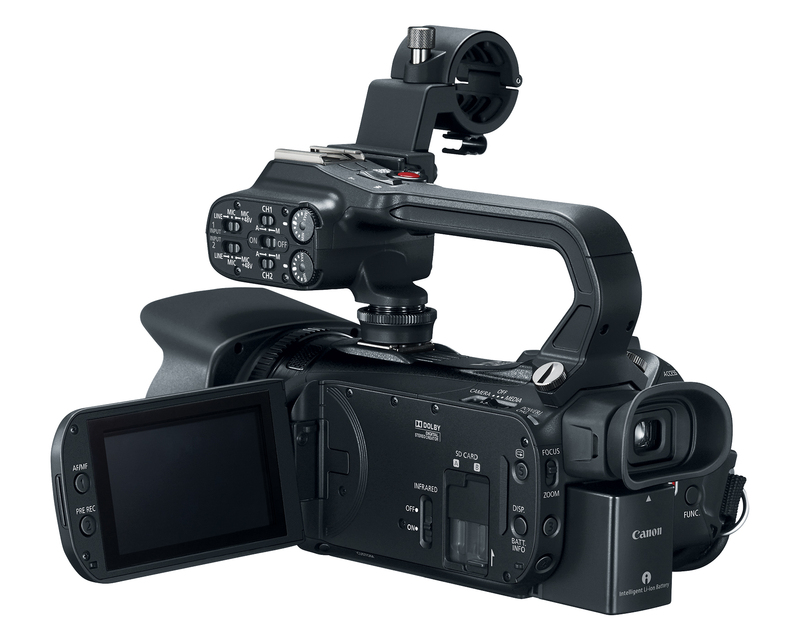 Recorded video remains stable thanks to the XA11’s reliable 5-axis image stabilization system. 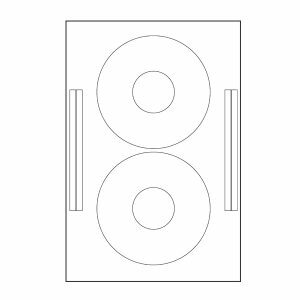 Two XLR terminals mean sophisticated and convenient audio recording on two separate channels. Ideal for a wide variety of applications, the XA11 can open new recording possibilities with its outstanding video quality in a powerful, versatile and portable package. 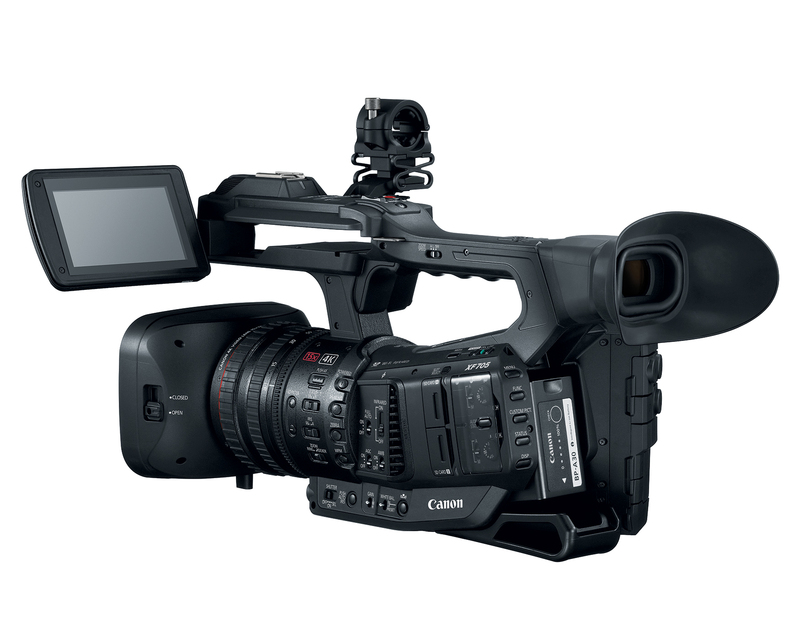 For fast performance in both capture and transmission, excellent for the dynamic world of Electronic News Gathering (ENG) as well as journalistic, documentary, corporate and higher education video production, look no further than the XA15 Professional Camcorder. 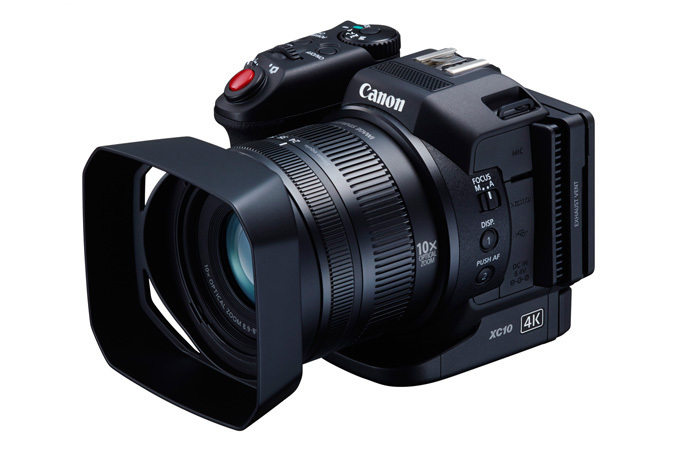 Featuring an advanced HD CMOS Pro Image Sensor, a powerful DIGIC DV 4 Image Processor and a phenomenal 20x High Definition optical zoom lens, the XA15 camcorder captures expansive, high-quality Full HD video. 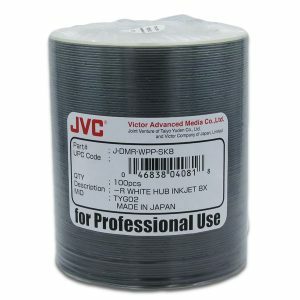 Its HD/SD-SDI terminal lets it quickly and reliably transmit uncompressed video with timecode and audio embedded directly to broadcast vans and workstations. 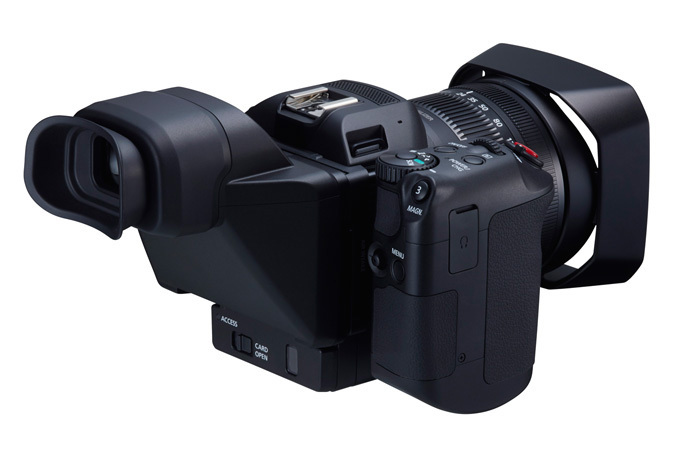 Combining a lightweight design, a 1.56 million dot electronic viewfinder and a 3.0-inch capacitive touch panel LCD, the XA15 is comfortable to operate for extended periods of time and in numerous environments. When there’s no telling what or where the next story will be, the XA15 is ready to go. 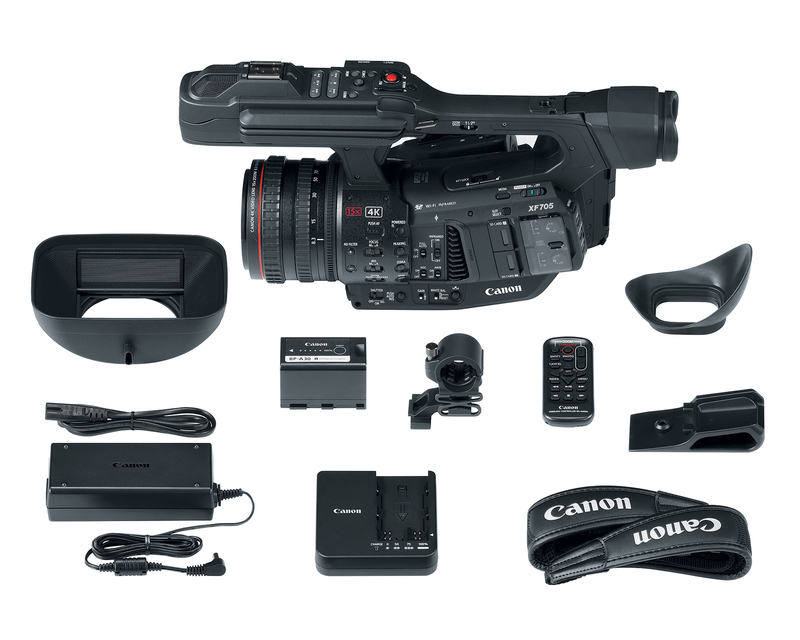 A remarkably versatile, powerful and compact camcorder, it delivers the quality, speed and connectivity to drive a 24-hour news workflow. 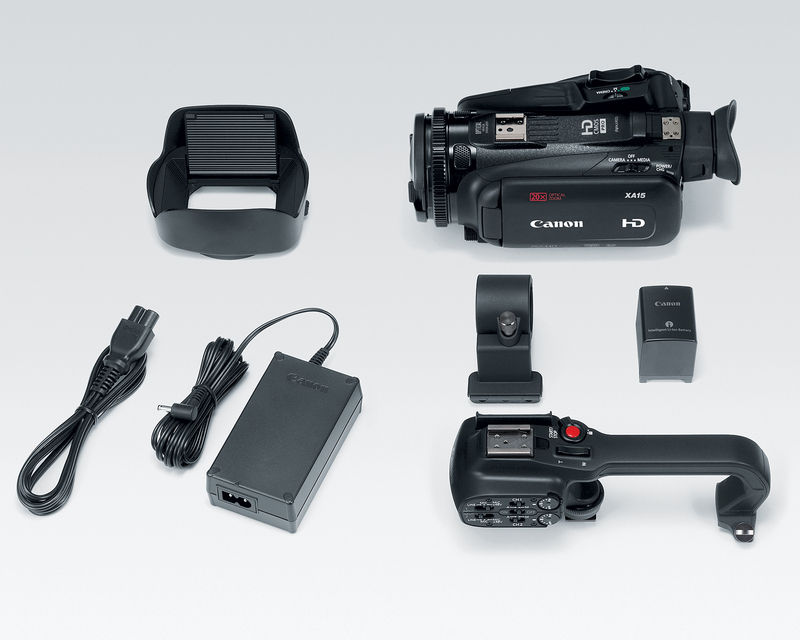 The Canon XC10 4K Camcorder features a compact, lightweight and versatile design for convenient 4K UHD/Full HD video shooting and 12 Megapixel digital still photography. 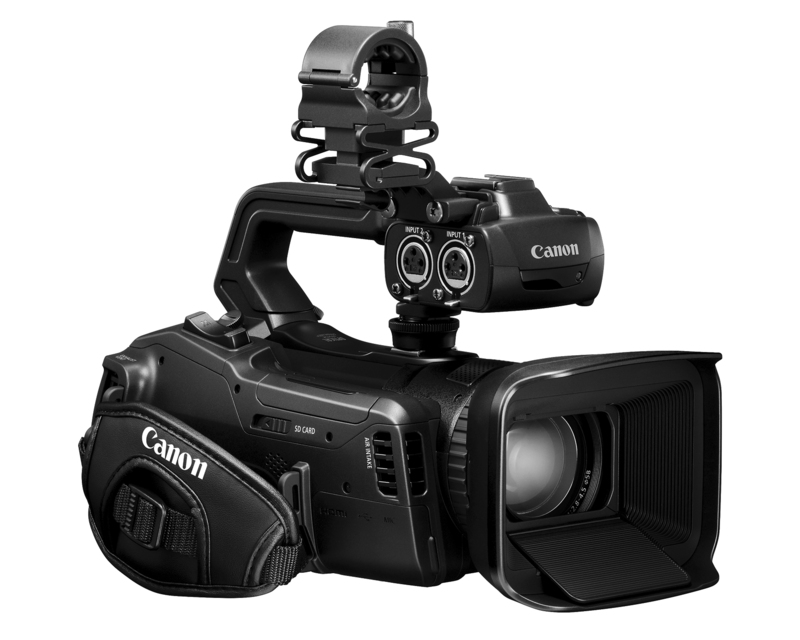 This all-in-one ergonomically convenient camcorder can satisfy a broad range of video and still production needs. 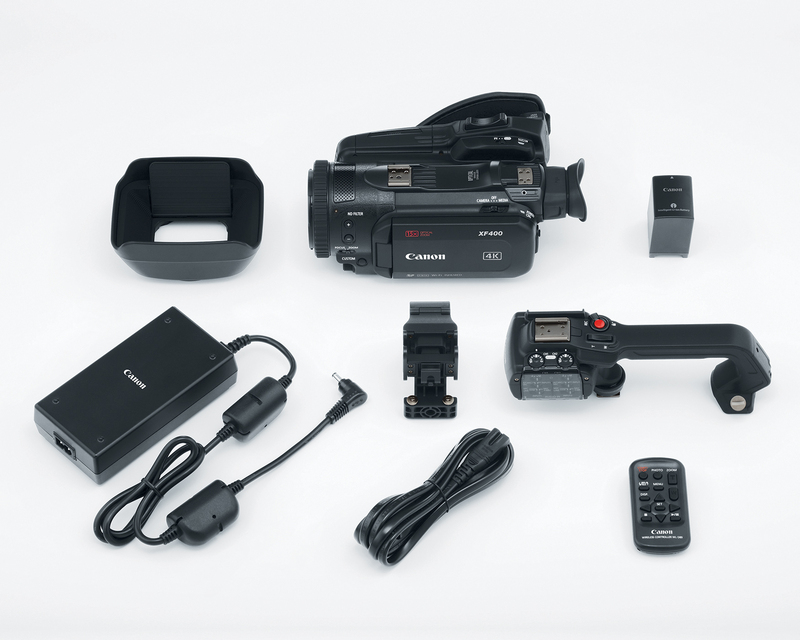 The XC10 4K Camcorder is for everyone from next-generation advanced amateurs to professional 4K and HD videographers, from digital filmmakers needing a cost-effective 4K UHD/HD "B" or "C" camera to multimedia journalists and news agencies seeking a 4K video camera. 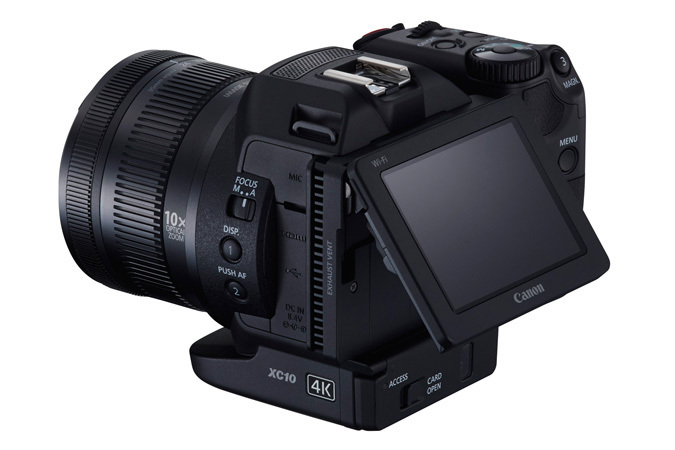 The XC10 4K Camcorder also appeals to the needs of cross media professionals in that it can also capture 12 Megapixel still images and provide 8 Megapixel stills extracted from 4K UHD motion video. 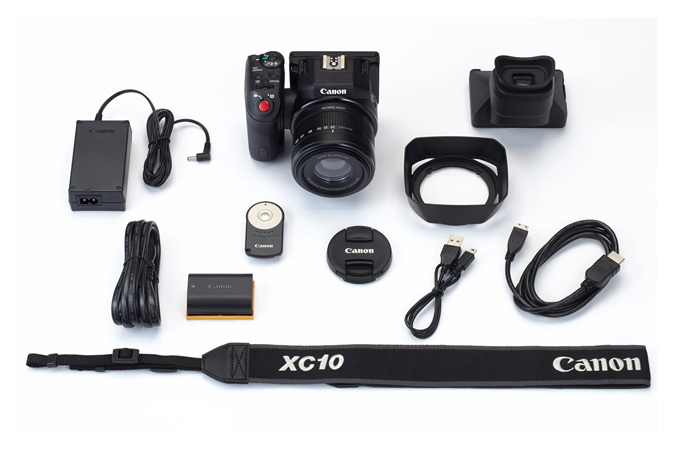 The XC10 Camcorder's 4K imaging system is purpose-built of proprietary components, including a Genuine Canon 10x Wide-Angle Zoom Lens with 2x Digital Teleconverter and Optical Image Stabilization. 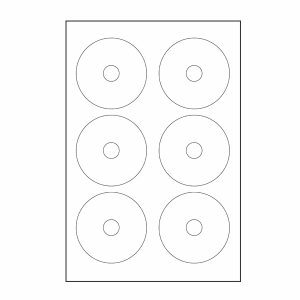 Employing a special Canon compact optical system, the lens offers a zoom ratio of 27.3-273mm for movies and 24.1-241mm for photos. 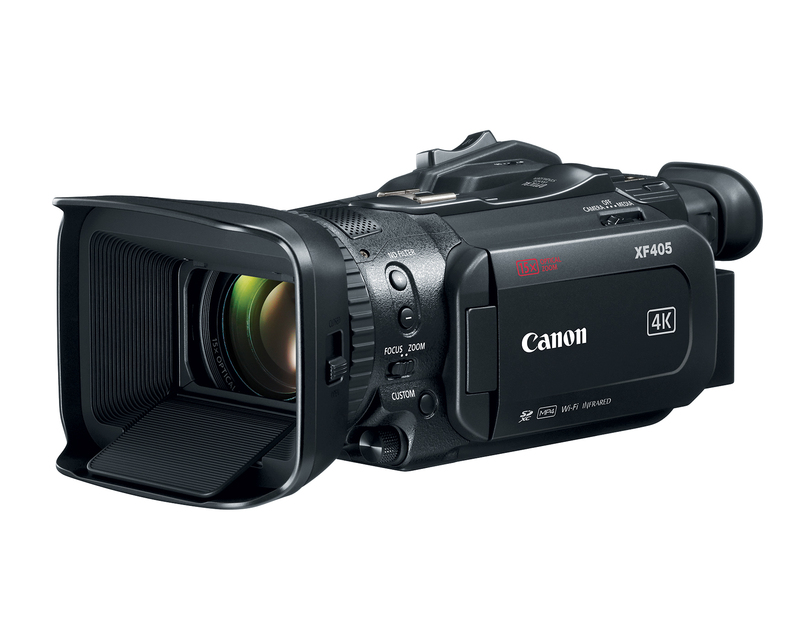 The XC10 4K Camcorder also features a specially designed Canon 12 Megapixel one-inch CMOS sensor that can deliver 12 stops of exposure latitude. 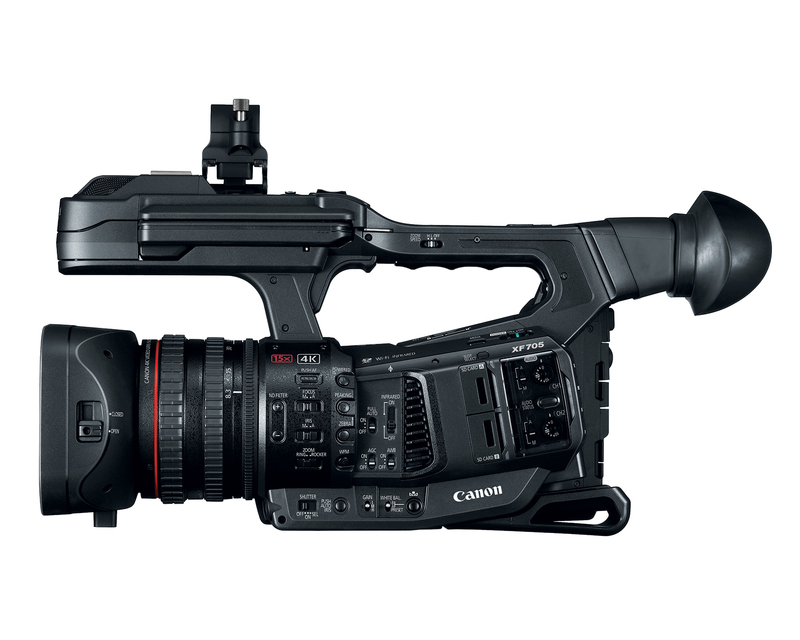 And the new DIGIC DV5 signal processor that provides the image-processing power and speed to deliver high image quality, performance and innovative new features like the Canon XF-AVC codec for 4K UHD and HD recording. 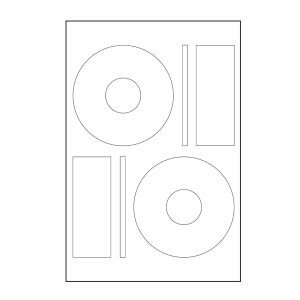 Operability innovations designed into the XC10 4K Camcorder further facilitate creative expression and the ability to capture superb 4K UHD/HD video and high-resolution still images. 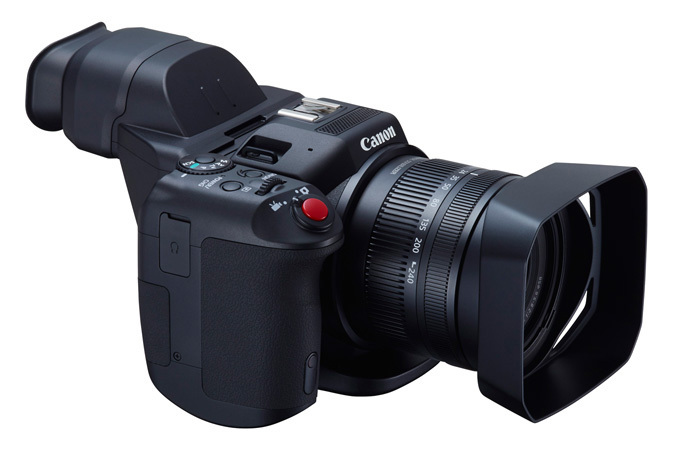 These include a Vari-Angle LCD monitor with a capacitive touch-panel for simple intuitive control, a rotating hand grip to support both movie and still-image shooting, a built-in ND filter, built-in dual-band Wi-Fi, and much more. 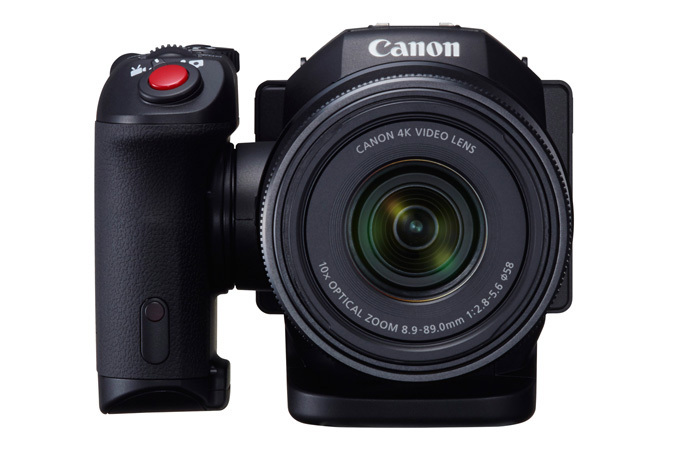 The camcorder can be hand-held, or used with a wide range of camera-support accessories, including car mounts and drones. 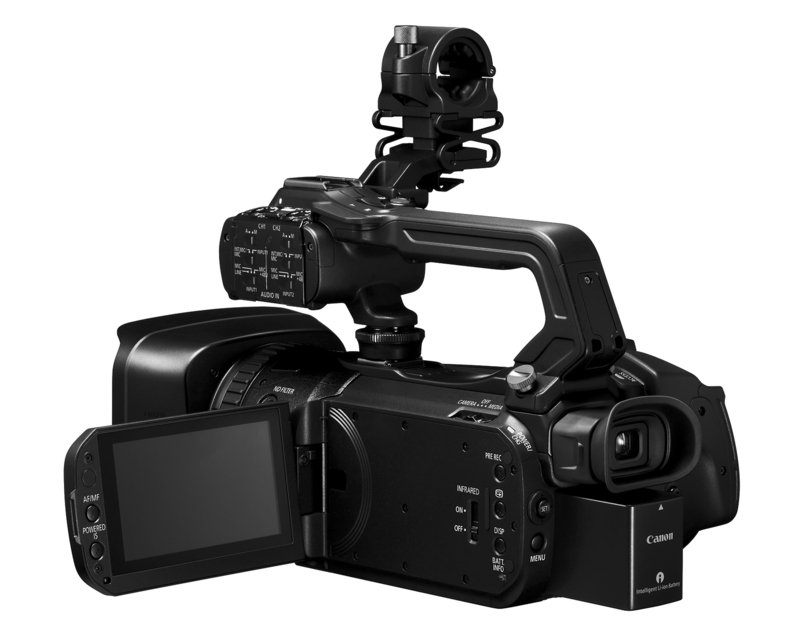 Offering slow- and fast-motion recording, multiple custom picture settings including Canon log and Canon Wide DR Gamma, and interval shooting for time-lapse still photography, the XC10 4K Camcorder offers a wide range of workflow option. 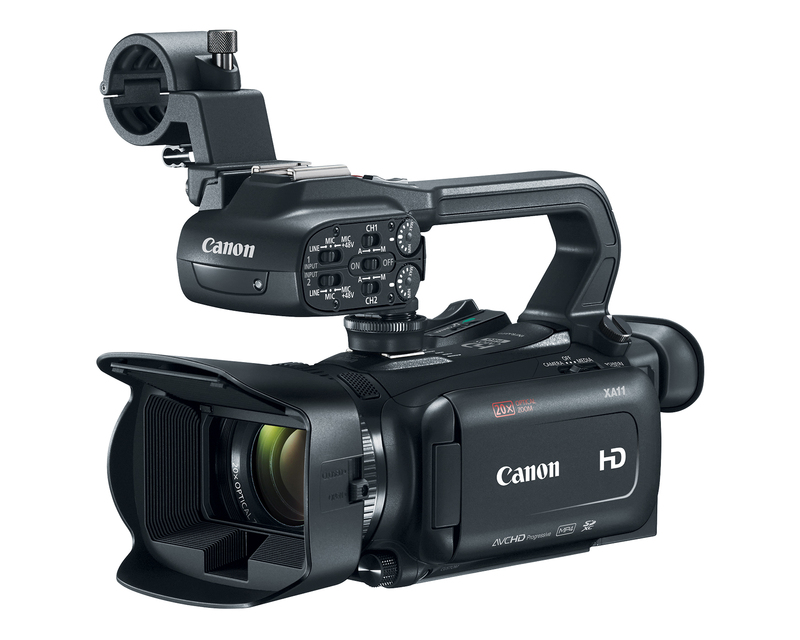 The camcorder can record H.264 4:2:2/8-bit MXF 4K (QFHD) 3840 x 2160 movies to internal CFast cards or Full HD 1920 x 1080 video to SD cards at multiple frame and bit rates (up to 305Mbps in 4K). 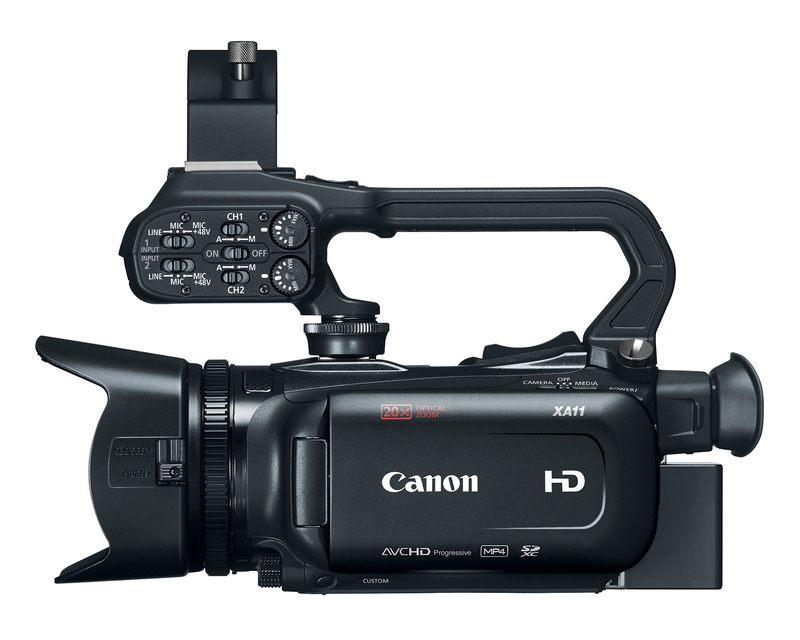 The XC10 4K Camcorder also offers 4K UHD 30p movie playback output via its HDMI 1.4 output. 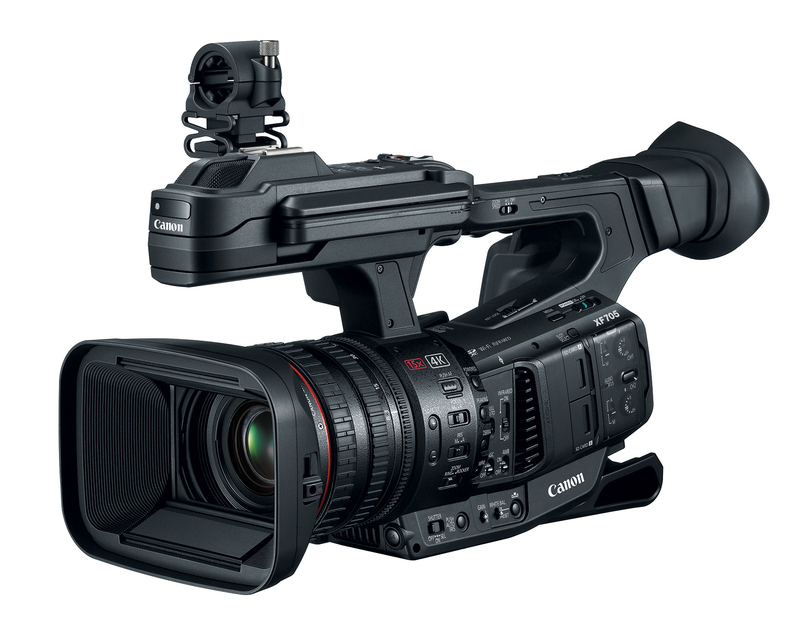 Versatile, compact, and convenient, the XC10 4K Camcorder is a lightweight 4K UHD/HD/still photography hybrid delivering high image quality and convenience to meet the diverse imaging needs of today's expanding universe of budget-conscious digital content creation professionals.